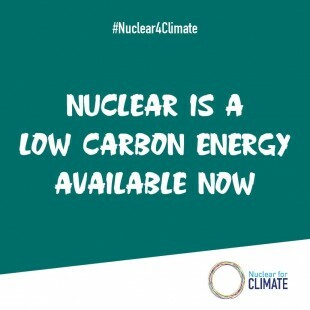 On March 27, Japan’s Shikoku Electric Power Co. decided to permanently shut down its Ikata-2 Nuclear Power Plant (PWR, 566MWe), located in Ikata Town, Ehime Prefecture. It has been about thirty-six years since the unit was first commissioned, and to extend its permitted operating lifetime from forty to sixty years would require a huge investment for the safety measures required to comply with Japan’s new regulatory standards. Prior to the decision, the power utility had been examining the possibility of restarting the unit. With power demand in the Shikoku area having been declining, however, it eventually determined that continued operation would not be profitable. The Ikata-2 NPP, which entered commercial service in 1982, was originally authorized to operate until 2022, some forty years after operation began. 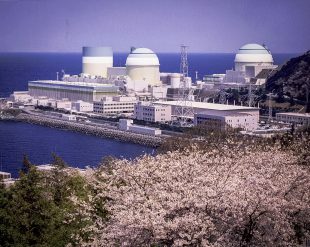 With approval from the Nuclear Regulatory Authority of Japan (NRA), its operating lifetime could have been extended a maximum of another twenty years, but that would have required funds exceeding a total of JPY100 billion (USD952 million at USD1=JPY105) to carry out safety measures, including seismic retrofitting. Given the unit’s small output of just 566MW, the sticking point was that no major improvement could be expected in the company’s financial situation by doing so. On March 27, Shikoku Electric President Hayato Saeki met with Governor Tokihiro Nakamura of Ehime Prefecture at the prefectural offices in Matsuyama City to convey his company’s decision to decommission the reactor. The governor said that the massive costs of safety measures would affect not only the financial situation of Shikoku Electric Power as a private company, but also the power rates charged to customers, and that the prefecture understood the decision. At the same time, he expressed concern for the adverse effects the loss of the unit would have on the local economy. He asked Shikoku Electric Power to carry out the decommissioning making full use of local industries and people. The Ikata-2 is the ninth NPP to be slated for decommissioning in Japan since the great earthquake of March 11, 2011, not including the Fukushima Daiichi NPPs, owned by the Tokyo Electric Power Co. (TEPCO). The decommissioning of the Ikata-1 With the decision now made to shut down Unit 2 as well, Shikoku Electric Power’s only remaining nuclear power plant will be the Ikata-3. 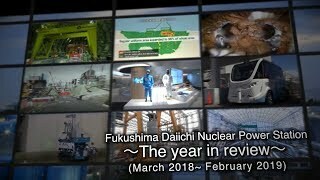 The Ikata-3 NPP (PWR, 890MWe) was restarted in August 2016, but in December 2017—during its first periodic inspection—the Hiroshima High Court issued a temporary injunction prohibiting further operation until the end of September 2018. Beyond that, three similar lawsuits are pending against Ikata-3. If the “no restart” situation is prolonged owing to judicial decisions, it seems unavoidable that the company’s business will suffer eventual serious effects.